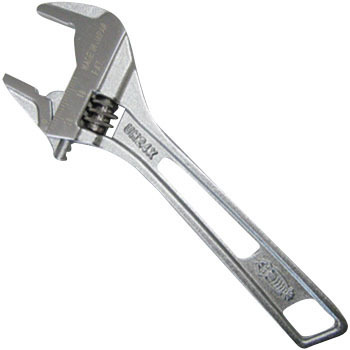 It seems to be the latest type, less play, less worry of licking to tighten the bolt nut, it was very good as it can be used like a normal spanner. This review is about item#38575406. As the name says, there is almost no backlash and the curve of the grip part fits into the hand and it is very easy to turn and easy to turn. This review is about item#38575415. There was no problem with the product, It was not shipped the same day because it was ordered on Saturday even though it was shipped the day, I contacted the cancellation from the form of WEB but it was sent out at the end of the week. Since I bought it elsewhere, I want to return it, but because I am responsible for shipping costs, I am crying. I wanted to use it once and purchased. I'd like to purchase a size difference if I use it well. I thought that the tool called Monkispana was a tool that would not be useful due to bad weather but the XG Gutarez of Lobexx is very satisfying Monkisupana. I think that the play of the mouth part is fewer than imagined. Since it is not used for too big bolt, there is no problem at the present time. Although it is used differently, it may be used for tightening (hex) wrench tightening (auxiliary), but it is regrettable because the hole of possession is not round. This review is about item#38575397. It was an ordinary monkey wrench with backlash. It was difficult to use, and it switched to a product that no other company's play is released. It was a failure to expect from this product. Little jaw chatter, easy to use. The opening of the jaw is large with respect to the total length, and it is possible to correspond to the one of a large size. The price is high, compared with others, compared with others, because it is close to Burko, so we made it a little more lightweight and wanted it to be the lightest in the class (because there are no other manufacturers 90 g or less).